Do your kids love Thomas the Train? Wouldn't they love riding aboard the world's most beloved train? You can do just that with the A Day Out With Thomas - The Go Go Thomas Tour 2013. The Lil Divas and I had such a great time at last year's event - The Mystery on the Rails Tour. We have been invited back to this year's tour and can't wait to attend when the tour hits South Florida next month. It's such a thrill for the kids to ride aboard Thomas. Ok, I'll admit I was pretty excited too. I mean - it is Thomas the Tank Engine! How cool is that? This year's local event at the Gold Coast Railroad Museum in Miami, FL (see website for your local tour details) includes a 25 minute ride aboard Thomas, the opportunity to meet Sir Topham Hatt, arts & crafts, storytelling, mini golf, Zoo Miami encounters, live music, face painting and more. For tickets call toll-free 866-468-7630 or log onto TicketWeb. The railway if offering $3.00 off the ticket price for the 1st Day of the event on March 2nd. Just use promo code FIRSTDAYTHOMAS at check out here. This promotion is good until Feb 9th. so don't delay if you plan on attending this fun family event. 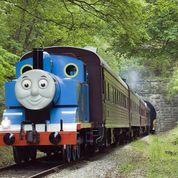 Disclaimer - We will be receiving complimentary tickets to A Day Out with Thomas - Go Go Thomas Tour 2013 in exchange for sharing our experience of the event with our readers. 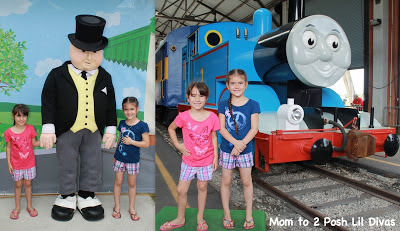 This is big chance for kids or people of all ages to see face to face Sir Topham Hatt and Thomas the Tank engine. Plus they will be able to get the opportunity to ride on this popular train! What a great tour it will be!